If you have recently been diagnosed with a thyroid nodule, learning all that you can will help you and your doctor make more informed decisions about what to do next. The thyroid is a small, butterfly-shaped gland located in the neck. The thyroid gland plays an important role in the body, releasing hormones that help the body use energy; stay warm; and keep the brain, heart, muscles, and other organs working properly. Nodules are abnormal growths of cells that form a lump in the thyroid gland. They are extremely common, although why they occur is unknown. Fortunately, most thyroid nodules are harmless and not cancerous—more than 90% of thyroid nodules are benign (not cancerous). Thyroid cancer is a disease involving thyroid cells that reproduce and grow uncontrollably, forming malignant (cancerous) tumors that invade nearby parts of the thyroid gland and can spread into adjacent tissues and lymph nodes. Most cases of thyroid cancer can be cured with surgical and therapeutic treatments. How do you determine if a thyroid nodule is benign (non-cancerous) or malignant (cancerous)? A thyroid fine needle aspiration (FNA), also known as a biopsy, is often used to help determine a diagnosis. The FNA procedure is simple and usually is performed in the doctor’s office or ultrasound department of a hospital. The cells from the biopsy are sent to a lab to be tested by a pathologist, a doctor who specializes in diagnosing diseases by viewing cells under a microscope. In most cases, a pathologist will be able to tell if the nodule is benign or malignant. In some cases, however, the pathologist is unable to make a diagnosis because the cells removed during the FNA procedure were not clearly benign or malignant. This is known as an indeterminate or inconclusive result, which occurs in about 35% of the thyroid biopsies performed. Doctors now have better options to assess indeterminate thyroid nodules using molecular testing. Your doctor can request that the sample of your cells taken with a fine needle aspiration (FNA) be tested with ThyGeNEXT® and ThyraMIR® oncogene panels, which are highly sophisticated tests that detect genetic abnormalities within your thyroid nodule. When used together, these advanced tests are helpful in providing the most accurate information about the risk of an indeterminate thyroid nodule developing cancer, so you and your doctor can determine the best course of action for you. Molecular testing can help you avoid surgery and the anxiety and costs that go along with it. Why molecular diagnostic testing? In the past, an inconclusive or indeterminate test result often led to recommendations for surgery to remove all or part of the thyroid nodule. Today, molecular diagnostic testing can help people get the best treatment by better understanding whether or not a thyroid nodule is likely to become cancerous. Doctors now have better options to assess indeterminate thyroid nodules using molecular testing. Your doctor can request that the sample of your cells taken with a fine needle aspiration (FNA) be tested with ThyGeNEXT® and ThyraMIR® oncogene panels, which are highly sophisticated tests that detect genetic abnormalities within your thyroid nodule. 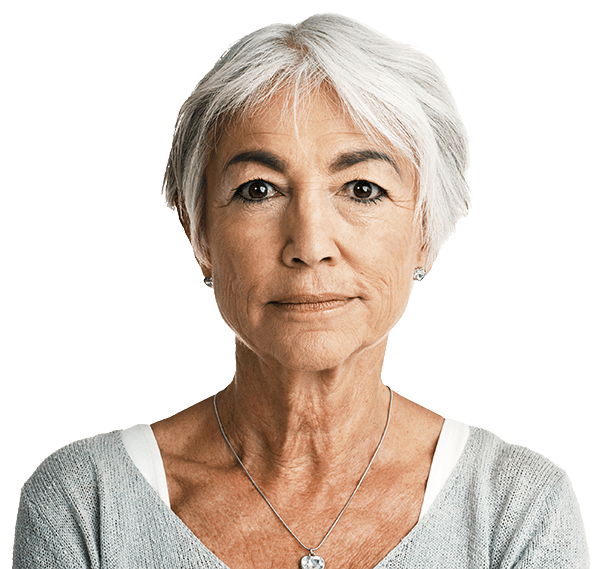 When used together, these advanced tests are helpful in providing the most accurate information about the risk of an indeterminate thyroid nodule developing cancer, so you and your doctor can determine the best course of action for you. For this reason, molecular testing can help you avoid surgery if the testing determines that your nodule is most likely benign (non-cancerous). We offer financial assistance to patients and their families through our COMPASS Program. What is a thyroid fine needle aspiration (FNA) biopsy? A thyroid fine needle aspiration (FNA) is a procedure that uses a very thin needle to remove cells from your thyroid nodule in order to determine if it is benign (non-cancerous) or malignant (cancerous). What happens after a fine needle aspiration (FNA)? Your thyroid FNA biopsy will be sent to a pathologist, a doctor who specializes in diagnosing diseases by viewing cells under a microscope. In most cases, the pathologist is able to tell if the nodule is benign (non-cancerous) or malignant (cancerous). If the pathologist can determine whether your nodule is benign or malignant, a report will be sent to your doctor. Your doctor will call you to discuss a treatment plan. What happens if the pathologist can’t tell if the nodule is benign (non-cancerous) or malignant (cancerous)? Sometimes the pathologist is unable to make a diagnosis because there are too few cells or the cells are unusual. These cases fall into the “indeterminate” (inconclusive) category. When this happens, your doctor may need to repeat the thyroid FNA biopsy. Another option is for patients to have a diagnostic surgery known as a hemithyroidectomy or a lobectomy. A third option to help aid the diagnosis is for your doctor to use molecular diagnostic tests, such as ThyGenX® and ThyraMIR™. These are tests that can provide you and your physician with additional risk information about your nodule(s). These tests look for known thyroid cancer markers to help either “Rule In” or “Rule Out” a diagnosis of thyroid cancer. I have a question about my test results. What do I do? Please contact your doctor with any questions that you may have regarding your test results. By law, Interpace Diagnostics is unable to provide any test or result information directly to patients. What are ThyGeNEXT® and ThyraMIR®? These are tests that can provide you and your physician with additional risk information about your nodule(s). These tests look for known thyroid cancer markers to help either “Rule In” or “Rule Out” a diagnosis of thyroid cancer. What does molecular testing cost? ThyGenX® and ThyraMIR™ are covered by many health insurance plans. Since coverage differs by insurance, Interpace Diagnostics also has the COMPASS* Program, which offers financial assistance solutions and payment plans to ensure that our tests are accessible to all patients. * For more information about financial options, please call (888) 963-6621. *COMPASS is not available to patients covered by Medicare, Medicaid, or any other government program, or where the program is restricted or prohibited by contractual obligation, or federal or state law.